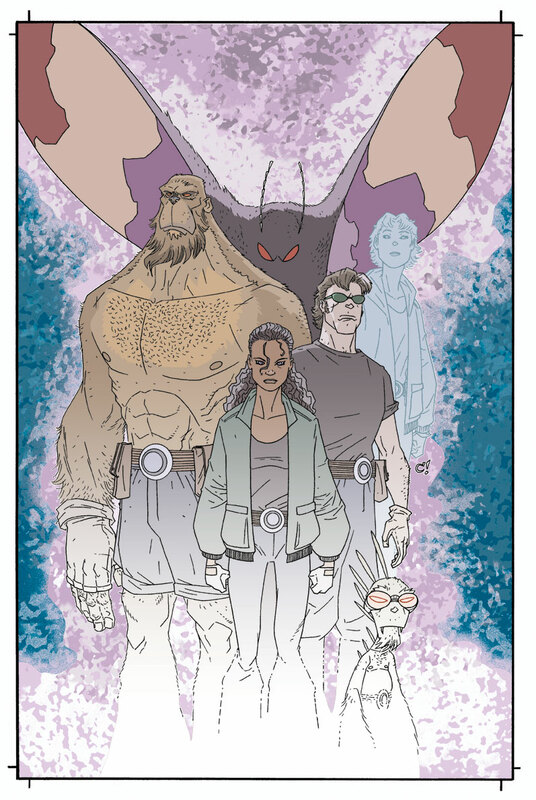 the big thing you need to know is that the latest installment of rich woodall and jason copland's SAINTS and SINNERS is up over at "Tales from the Perhaps"! click on the link above and get into this spellbinding story~! i was looking through some files here on the computer the other day and somehow realized that it has been nearly ten years that craig and i first started working on this crazy, cool project featuring these colorful, creepy, cryptid characters that, we had hoped at the time, would find a publisher, a voice, and, most importantly, an audience! well, we seem to have done all that and, though there have been many bumps in the road along the way, craig and i couldn't be happier--or more grateful--to everyone who's supported us and given our gang a chance. first, to get things started, we went all ashcan and published this charming little intro--the perhapanauts dossier: CLASSIFIED! it's hard to do scary in a comic book. because a comic book image is static and fixed, you don't have the advantage of, say, a movie, where something can jump right at the camera or right out at you. as a writer the best that you can hope for is to pace your story so that a really unsettling image awaits you after a page turn. oh, and a really good artist who can pull it off. i was always pushing for scary and craig delivered in spades with this chilling shot--the first appearance of the demonic aswang! i remember feeling the hairs on the back of my neck stand up when he first sent it over...and then rico colored it in a way that jacked the scary up about 8 points! yeah, man--that's what i'm talking about! one of my most favorite covers from our dark horse days, perhapanauts:second chances no.4. dunno why--i just dig it. this cover was one of several "lost" covers that craig did for a portfolio we put together a few years back. these five covers were based on the letters pages that i had confabulated for the first handful of haps issues from dark horse. 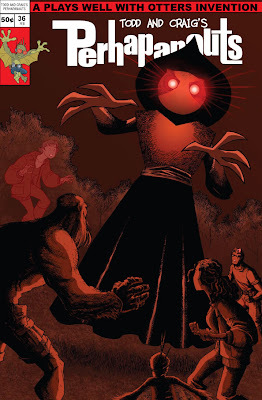 this one depicts the gang confronting the infamous flatwoods creature originally seen on september 12, 1952 in the town of flatwoods, west virginia, by a local woman and a gaggle of neighborhood kids. don't believe me? go google it, monkeys! look for more stuff from the haps already storied career next week~! til then, have a great weekend and a great fourth of july! Wow, I can't believe it's been that long. What a fantastic ride. Every convention I have seen you guys at, any email we've sent has always been a great experience. Class act creators, classy characters, classy story telling. Thanks for a great decade and I look forward to much more. Man, time flies when you're having fun. Thanks for the trip down memory lane, Todd. 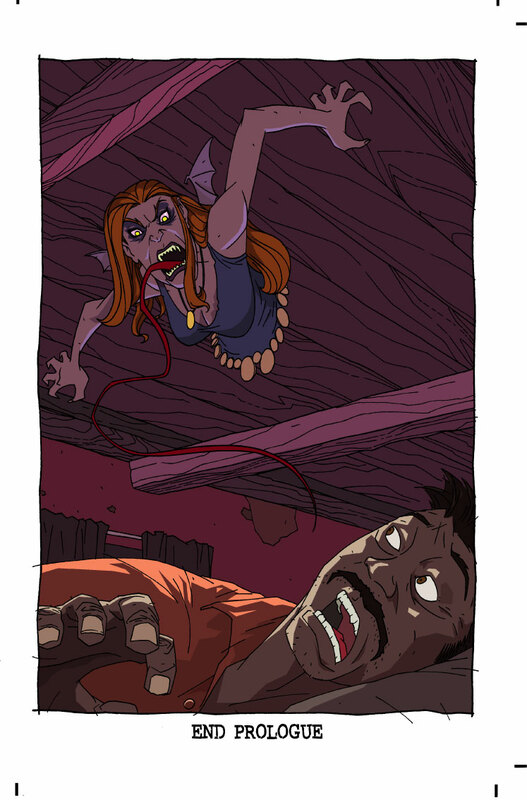 Also, agree with you on Craig's talent, his Aswang scared the pants off of me. Lucky for me, I was reading it at home and not on the train to work. Yep, that Aswang was creepy. I think I got one of those ashcans! I remember when I saw you guys at Heroes and you were talking about the 'Haps and how it was going to be coming out soon. Damn, time flies.